Trying to get the perfect carpet cleaning or carpet cleaner for that matter is like trying to find a needle in a hay stack. There are so many options when it comes to carpet cleaning. How do you know what will work? How do you know you are going to get the carpet cleaning you want? The top choices for most are do it yourself (DIY) products and rentals. These choices are common and cheap but do they work. Well, in some cases they probably will if you are able to clean up a stain right away. However, if you wait to clean because you don’t have a cleaning product on hand the stain will set in and the chances of you being to remove the stain will lower dramatically. Also, you have to be careful about what you are putting in your carpet and how. If you use an over the counter cleaning product or soap and water you are leaving residue in the carpet which will cause dirt, bacteria, and other things attract and grow. Your carpet will become dirty quicker and you just won’t be happy. Those rental machines that you can pick up from your local grocery store aren’t as good as they advertise to be. They aren’t going to remove your stains as well as a pro and as mentioned above soap and water aren’t good for your carpets which is exactly what these machines use to clean. Not to mention the headache and hassle of having to maneuver the machine around and dumping out that nasty water, gross! Not only does soap and other products leave reside they can also damage your carpet. Rubbing and scrubbing your carpet can cause it fray and come undone and if you care about your carpet you will end up spending money for a pro to repair your carpet. What if you were told that carpet cleaning doesn’t have to be expensive and that using a pro is more cost effective? Well on average a machine rental ranges from $60-$80 depending on where you rent it and the supplies you need to purchase. Not only are you paying for the machine you are using gas to go to and home from the store. If you by over the counter products that are supposed to be safe and effective and it does nothing to get rid of your stains then that is money straight down the drain. 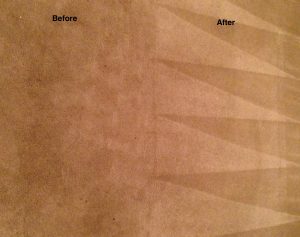 With Beyer Carpet Cleaning you can spend $99 and have 3 rooms and a hall professionally cleaned and have at 95% of your stains removed. WOW, what a deal!! All you have to do is call and schedule an appointment. NO hassle, NO headache when you use a pro. Beyer Carpet Cleaning uses safe products that your family and pets can be around and steam cleaning will not fray your carpet. Having your carpets cleaned by a pro only means your carpets will look beautiful when they are done. Beyer Carpet Cleaning also offers a customer satisfaction with each of their full service packages. If you the customer are not happy with the carpet cleaning when done then you don’t have to pay until you are happy. Their full service package includes a steam, vacuum, prespray, and deodorizer. Just an FYI most professionals charge extra for deodorizer but Beyer Carpet Cleaning includes it at no extra charge when you purchase their full service clean. 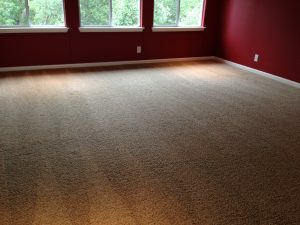 If you like to save time, money, and stress then call Beyer Carpet Cleaning the next time you need your carpet cleaned.